A new tea rooms opening just in time for Christmas in the ever-popular and genteel streets of Clifton village will offer shoppers and visitors a truly unique experience. Cordial & Grace, a modern tea rooms and sewing café located on The Mall will bring an entirely new experience to the village. Customers will be able to sample a full festive afternoon tea in the elegant, smartly decorated and brightly coloured tea room, rent a sewing machine by the hour in the downstairs parlour, or simply pop in to grab a quick coffee and cake. Unique to the Village, Cordial & Grace will also sell a selection of hand-picked fabrics and haberdashery. Cordial & Grace will open its doors on 16 November offering inventive brunch dishes and sumptuous afternoon teas complete with a range of carefully selected loose-leaf teas, homemade cakes and, and fairly traded coffee, all of which can be accompanied with a glass of Prosecco or wine, as the premises are licensed. Great importance has been placed on sourcing food and drink from local suppliers wherever possible. In the lead up to Christmas, the new tea rooms will also offer a selection of Christmas-themed treats and drinks so that weary shoppers can pop in from the cold to rest their feet and experience a little seasonal joy. 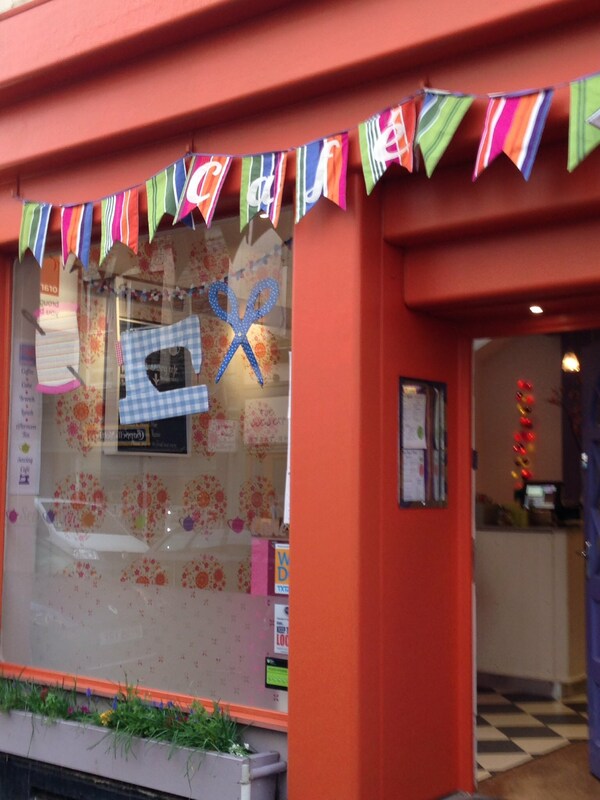 Owner Maria Whiteman commented: ‘I am delighted to be able to share my passion for sewing, tea and cake with Clifton. It’s been a long-held dream of mine to open such an establishment and I am so excited to have found the perfect ‘posh’ premises in Clifton, which has been my home for over 10 years. I hope to welcome a range of visitors, such as those dashing in for a quick cuppa and slice of cake, those enjoying brunch with the morning papers, those who fancy a glass of wine (or bubbles) with their cake, as well as the full afternoon tea experience. I’m also hoping the space will take the fear out of using a sewing machine and inspire people to discover the joys of simply being creative in the downstairs parlour. From January, Cordial & Grace plans to offer a full range of sewing and craft workshops in its specially designed, well-lit basement parlour. Until then the sewing machines will be available to rent by the hour for novice and expert sewers alike, with experienced sewing staff on hand to help. There will also be a few festive themed workshops held in December. Maria added: ‘Now is the right time to tap into the growing move away from throwaway, fast food and fashion, but I wanted Cordial & Grace to offer something beyond the more recent trend for shabby-chic, vintage or homemade goods. I see it as a move towards handmade, rather than homemade. People still want their little luxuries here and there so, at Cordial & Grace, we offer them both. Monday – Sunday, 10am – 6pm for brunch, teas, coffees and snacks, and a full afternoon tea. The downstairs parlour will also be available for private hire and the whole premises are available exclusively for special events such as hen parties, private dining and children’s birthdays. Maria plans also to welcome other craftspeople to host workshops. Cordial and Grace is a modern tea rooms and sewing café located on The Mall in Clifton village, Bristol, BS8 4DP. Founded in 2011, owner Maria Whiteman aims to provide a space to welcome and bring together a range of visitors for sewing, tea and cake. The upstairs modern tearooms offer a range of dining and tea / coffee possibilities, the downstairs parlour has a number of sewing machines available to hire by the hour. From January 2012 Cordial and Grace will also offer a full calendar of sewing and other handmade craft workshops. There is also a selection of seasonally changing, hand-picked haberdashery and ribbon for sale. *the premises was formerly the ‘Posh Spice’ Indian restaurant.